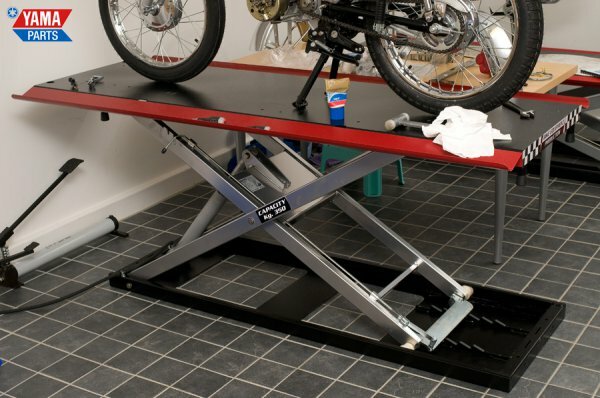 We’ve just recieved another motorcycle lift from Peter at Checkray! 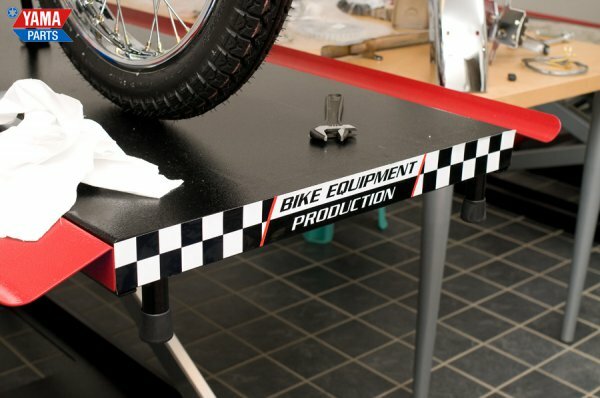 They’re truly a useful when you’re working on a bike, at the very least they are a backsaver when attaching heavy parts. If you need one yourself, go to www.checkray.se. 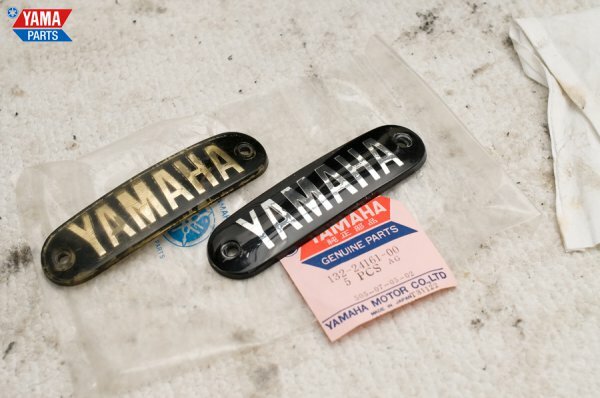 We have gotten a few email from people wondering about fuel tank badges with gold-coloured letters for the AS1 and AS2, the thing is that Yamaha has only made silver-coloured ones. The silver colour was made with pigments that faded when exposed to sunlight, leading to gold-coloured text.